Precision oncology using next-generation sequencing accelerates targeted therapy treatment selection and improves patient outcomes. NGS is involved throughout the development continuum for targeted treatments – from translational research to companion diagnostics testing. Here, we share stories of how NGS technology has enabled personalized oncology to improve patient outcomes. We are currently sharing stories from pediatric precision oncology clinical research, including an NTRK fusion case. Please revisit this page regularly for new stories. It was Thanksgiving weekend 2017 and oncologists at Children’s Hospital Los Angeles (CHLA) faced a difficult challenge when a 2-year-old cancer patient arrived with a very large, fast-growing mass on her neck that was quite literally suffocating her. Given the dire circumstances, the treating physician needed an answer quickly to determine a course of action. For this he urgently turned to Timothy J. Triche, M.D., Ph.D., co-director, Center for Personalized Medicine, Children’s Hospital Los Angeles, and asked if his in-house laboratory could run a new multibiomarker assay CHLA had developed in collaboration with Thermo Fisher Scientific. Oncomine Childhood Cancer Research Assay is specifically designed to target multiple DNA and RNA genomic alterations associated with pediatric and young adult cancers. The oncologist hoped that the results of the next-generation sequencing assay would provide answers that could help. It did, and in record time. The results revealed that the child’s tumor contained an NTRK gene fusion, enabling the care team to quickly enroll her in a phase II clinical trial for LOXO-101. 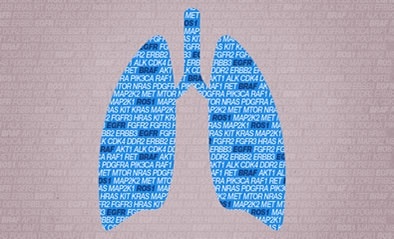 The new therapy targets the NTRK gene fusion, which is found across 24 unique tumor subtypes in adult and pediatric cancer, and demonstrates an 81 percent response rate, according to clinical study data presented at the European Society for Medical Oncology 2018 Congress in October. As a collaborator on the trial, CHLA was able to immediately start treating the 2-year-old with the drug, which received approval by the U.S. Food and Drug Administration on November 26, 2018. In addition to its rapid turnaround time, the in-house lab team at CHLA managed to provide complete results using a small amount of material that was retrieved from the patient’s tumor, Triche said. More than a year later since enrolling their pediatric patient into the clinical trial, oncologists at CHLA remain hopeful that she will continue to benefit from the care she is receiving. At 4-months old, Maddie Pagel was diagnosed with choroid plexus carcinoma (CPC), a rare and aggressive pediatric brain cancer that had spread down her spine and into her spinal fluid. She had surgery to remove the primary tumor, followed by 12 rounds of chemotherapy, which put the cancer into remission. 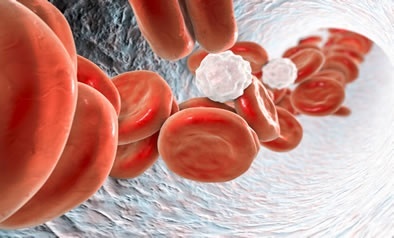 But nine months later, the tumors returned and spread. This time her cancer, which had a poor prognosis and no known cure, was resistant to three different chemotherapy protocols. To discover what happened next, watch the video or click below to read the full article. Nearly 70,000 young adults are diagnosed with cancer in the United States each year. But despite advances in early detection, treatment, and prevention, there’s been no improvement within the last 30 years in survival rates for this age group. In fact, the gap between the survival rates of young adults and those of cancer patients in other age groups is widening. Here's why: childhood cancers are fundamentally different. Since the driving genetic mutations in these malignancies are different from those affecting adults, a specific and comprehensive pediatric cancer panel was needed for the advancement of research. In this video, you'll hear how Dr. Timothy Triche, the Founding Director of the Children’s Hospital Los Angeles Center for Personalized Medicine, used Oncomine Solutions to develop a new research test to better understand childhood cancers.